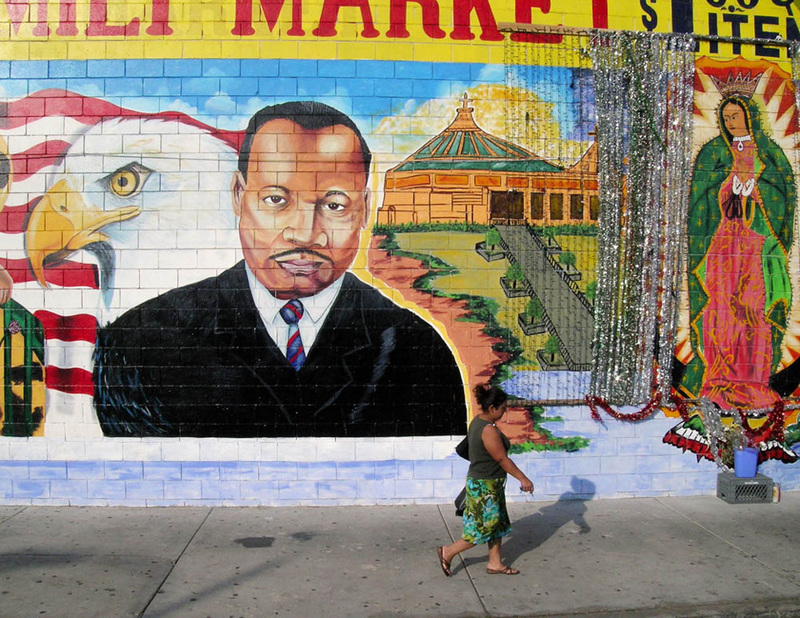 Street portraits across L.A. show how different neighborhoods interpret the civil rights leader in their own image. Co-published with Zócalo Public Square. 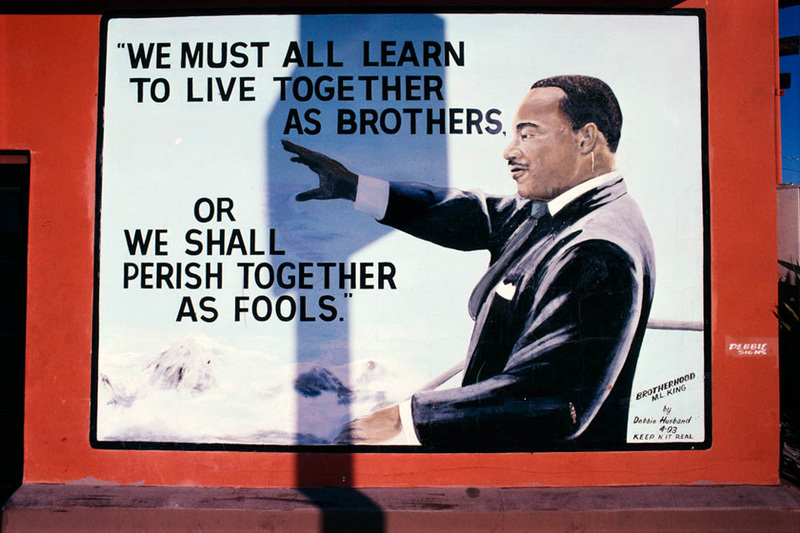 I did not set out to document murals of Martin Luther King Jr. in American cities such as New York, Los Angeles, Chicago, and Detroit. 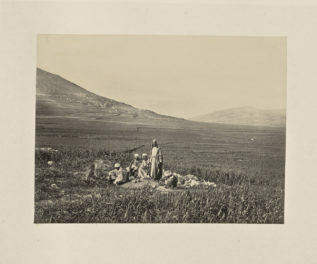 I just happened to find one back in the 1970s and photograph it, then many others, until a national collection developed. His likeness welcomes shoppers on the facades of liquor stores, barbershops, and fast-food restaurants. He is represented as statesmanlike and heroic, proud and thoughtful, friendly and compassionate. The street portraits of King are made mostly by sign painters, almost never by trained artists. 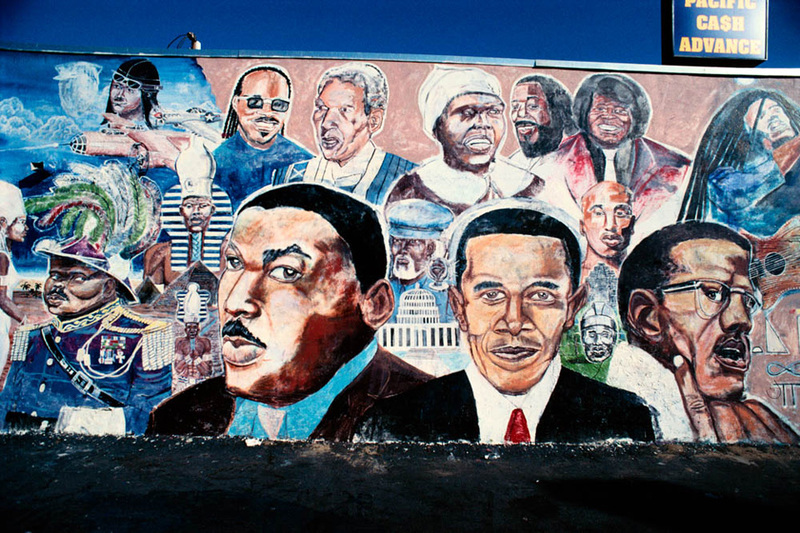 Street portraits of Dr. King don’t last forever. 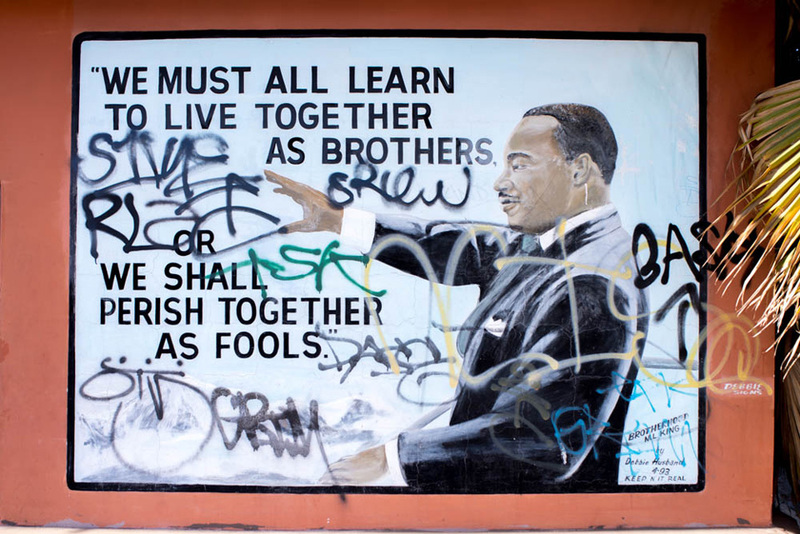 Murals get defaced, paint fades, businesses change hands, and neighborhood demographics shift. 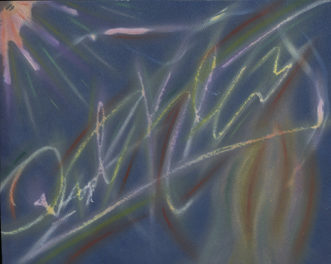 King is typically depicted accompanied by great figures such as Malcolm X, Nelson Mandela, Harriet Tubman, and Rosa Parks (though in recent years I’ve been seeing less of Mandela and Malcolm X). 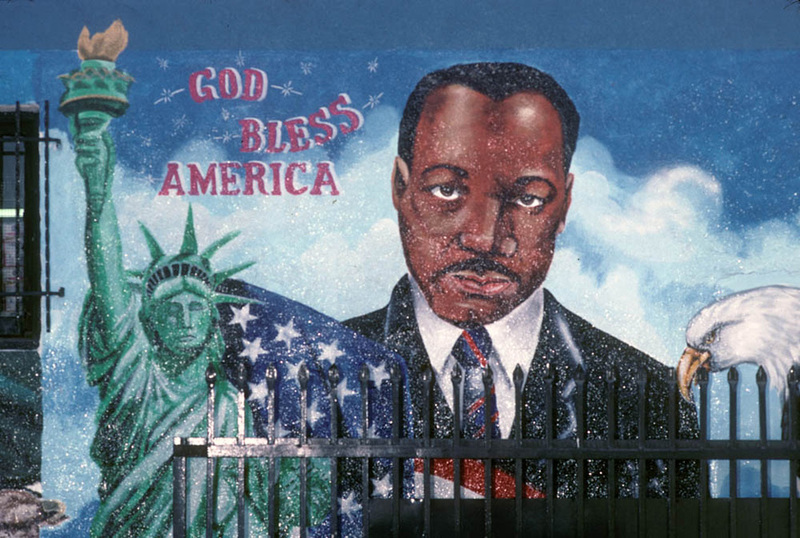 Images of King mushroomed on the walls of South Central Los Angeles after the 1992 race riots. 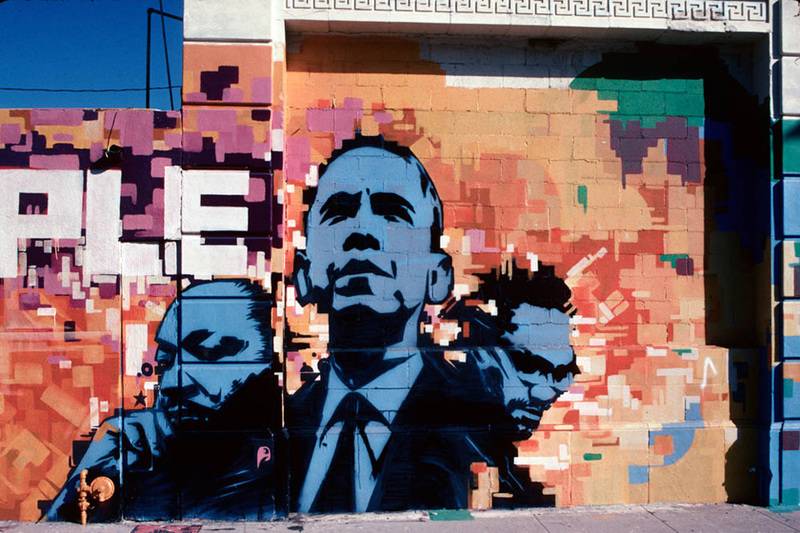 In South L.A. in 2016, King is accompanied by Pancho Villa, Benito Juárez, Cesar Chavez, and the Virgin of Guadalupe; most popular since 2009 are portraits of him alongside President Obama. 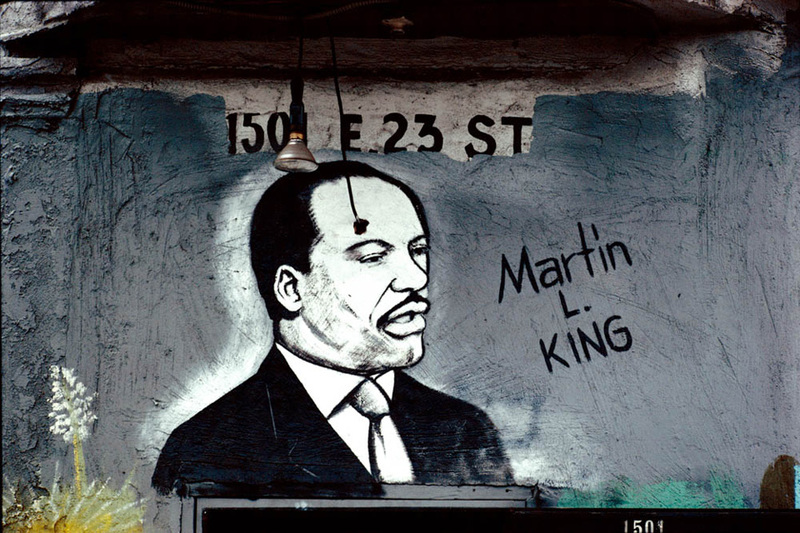 Following population changes, King murals have moved west, across the 110 and toward South Western Avenue. I’ve seen street images of King disappear as his likeness is substituted by the suffering Christ or by President Obama. 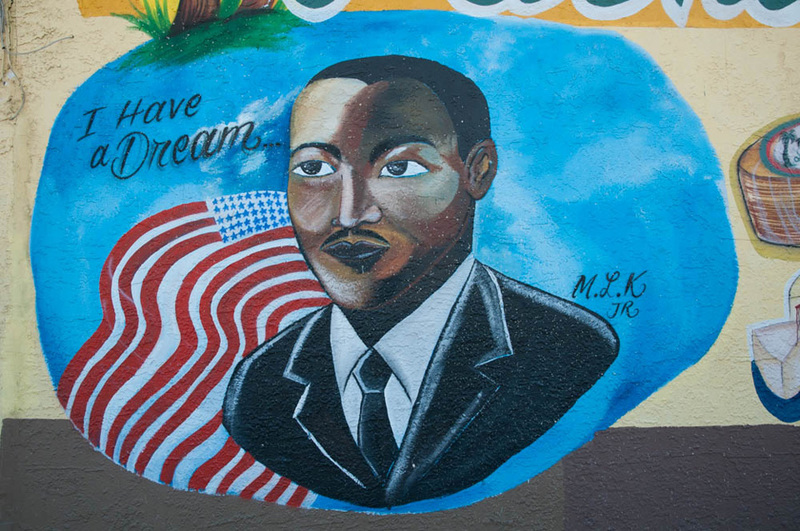 As we celebrate a national holiday honoring King, we can enjoy the dialogue he inspires showing how ordinary Angelenos—and other Americans—incorporate him into their culture. I'm a New York-based sociologist and photographer who photographs the same urban locations over time to document changing communities.